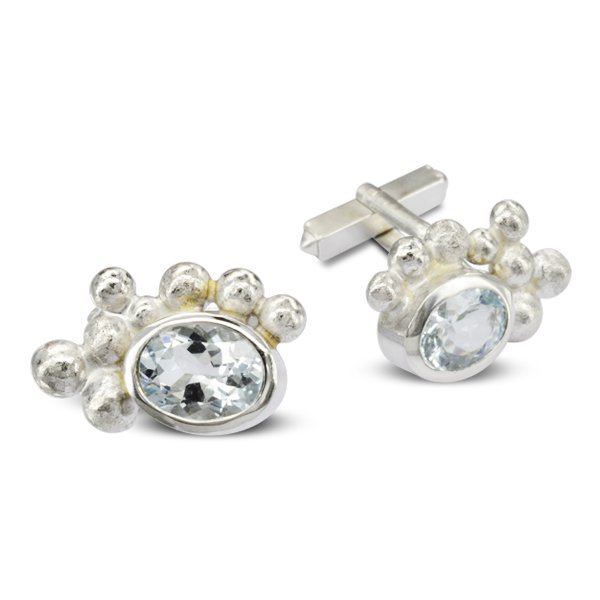 Handmade aquamarine cufflinks in silver. 8x6mm faceted aquamarines set in a 9ct white gold contemporary rubover setting with clip or chain fittings as requested. Solid gold nuggets form the decoration around the aquamarines. Overall dimensions are roughly 12mm x 20mm. 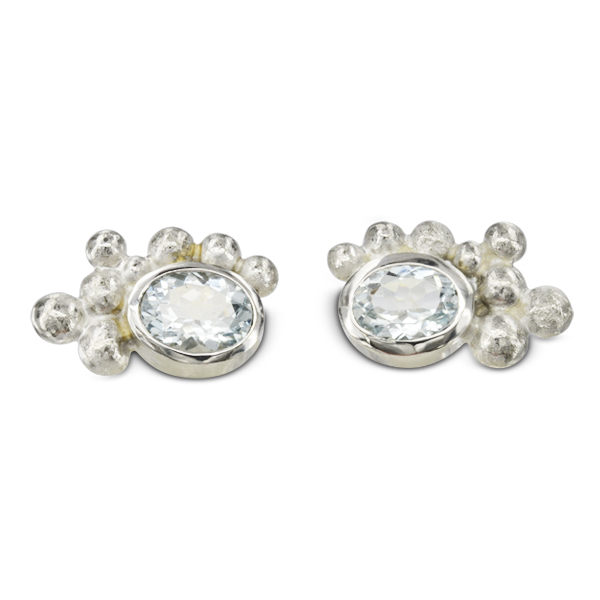 They can also be made in rose gold yellow gold or silver using other gemstones.